Dame Dash became "visibly upset" after he was asked a question about R. Kelly. The drama surrounding Dame Dash and Funk Flex has reached unforeseen heights. In what seemingly escalated overnight, Dame is threatening to take legal action against Flex and Hot 97. Their differences stem from comments that have been made about Dame's relationship with Aaliyah, involving R. Kelly, Jay-Z, Beyonce, Nick Cannon, and a slew of others. Dash dated Aaliyah before her tragic passing and he has been adamant that she didn't speak to him much about her marriage to R. Kelly. Now that the Lifetime docuseries about Kelly's abuse has made such a strong impact, Dame is receiving questions about Aaliyah, which have made him uncomfortable. The most recent case comes from a red carpet event that he attended, storming out of the building after an interviewer asked about the situation. 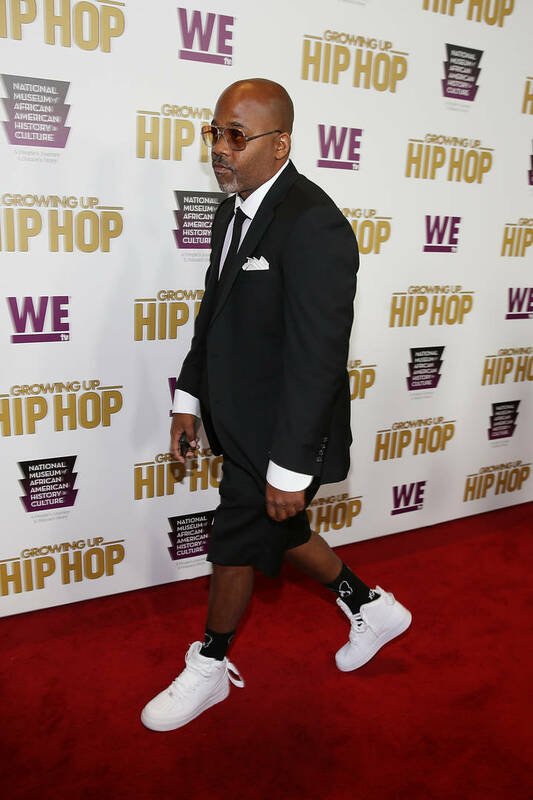 According to Page Six, Dame Dash was in attendance at WEtv's "Hip Hop Thursdays" event where somebody asked him about Surviving R. Kelly. The outlet writes that Dash was furious about the question, becoming "visibly upset" and "storming off the carpet." It unclear what exactly was asked to rile him up so much. Dash has been extremely active on his social media, going at Funk Flex and calling for a meeting with 50 Cent and Nick Cannon. His most recent rant ended with him threatening to take legal action against Flex.